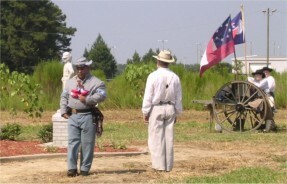 Sponsored by the Mill Creek Chapter Sons of the American Revolution, Archibald Bulloch Chapter Daughters of the American Revolution, Ogeechee Rifles Camp # 941 Sons of Confederate Veterans, all of Statesboro, Georgia with assistance from other area SCV members and Reenactors. 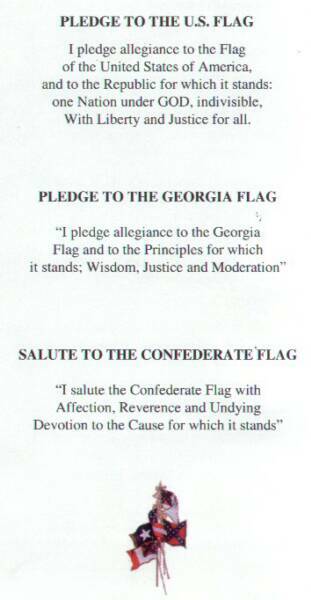 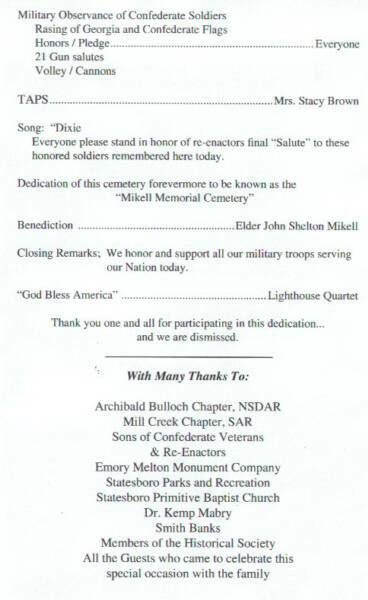 Click on thumbnail images below to view pages from the memorial program. 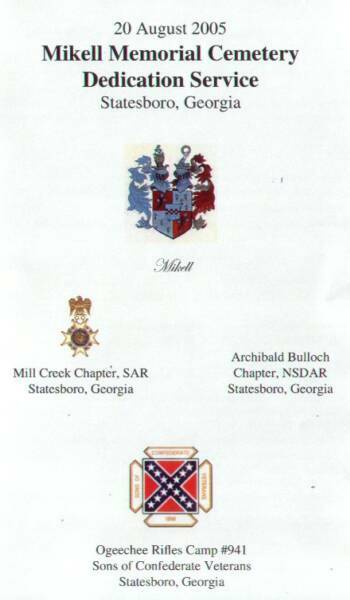 Honorees included the Mikell Family Soldiers listed below. 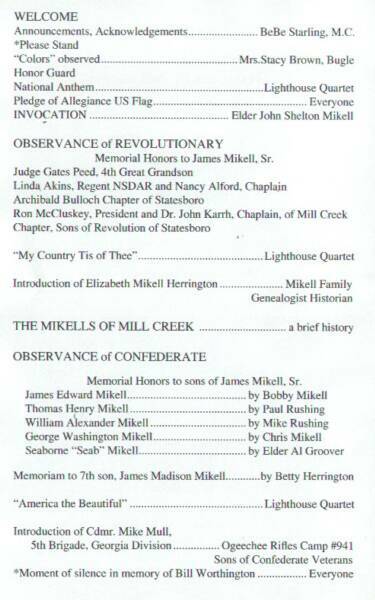 The cemetery was officially named The Mikell Memorial Cemetery. 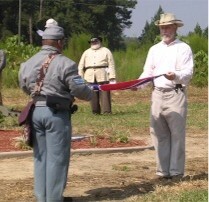 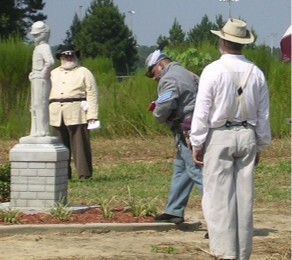 Above: Al Perry (R) of the Robert Toombs SCV, Tommy Wallace (C) of the Tattnall Invincibles SCV and reenactor Jose Velasquez of Rincon (L) are shown during the flag folding and presentation. 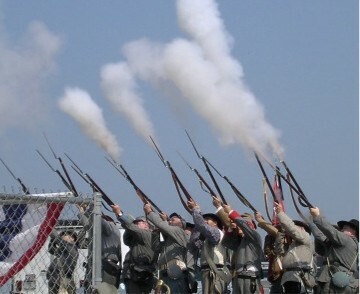 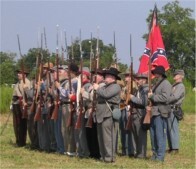 Below, Infantry reenactors participate in the 21 gun salute.